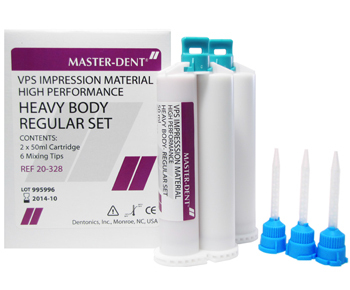 Master-Dent® VPS Impression Material integrates superior dimensional stability, tear resistance and accuracy with ease of handling for consistently accurate impressions. 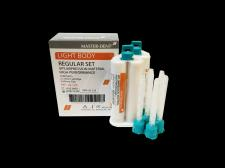 Offered in a wide variety of formulations and delivery systems, its super-hydrophilic nature is formulated to ensure excellent final impressions with minimal distortion and great dimensional stability. The material will not drip, sag or slump during extrusion. 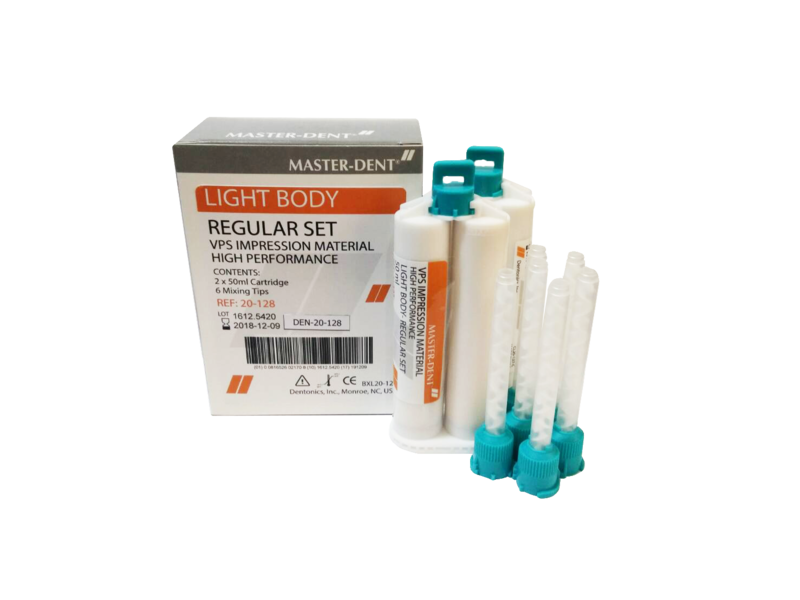 Now available in our new jumbo 380ml cartridge system which stores the base and catalyst components separately in a specific 5:1 volumetric ratio.